AI at Expand: Apple's iOS devices and other mobile platforms may be leading a revolution in the games industry, but the CEO of one upstart gaming company says the shift to mobile has resulted in a wave of games that lack the emotional depth one can experience on traditional consoles. 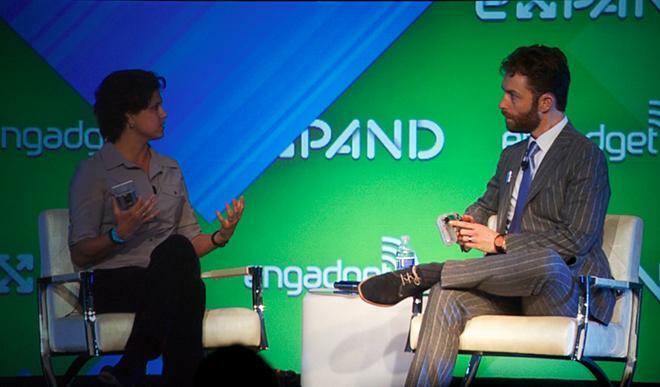 Speaking at Engadget's Expand conference, Ouya CEO Julie Uhrman panned the state of mobile gaming, saying that the experience users get on tablets such as Apple's iPad and iPhone isn't as full as what's possible on consoles. "You're not having an emotional experience on a tablet," Uhrman explained, asked about what makes the Android-based Ouya console stand out from the larger trend toward mobile gaming. "You're not engaged. It's more of a distraction." Part of keeping the emotional aspect of gaming, Uhrman said, is in keeping the controller as an integral part of the experience. A number of companies have introduced controller peripherals for both Android and iOS devices, bringing a more traditional aspect to mobile gaming. These devices, however, largely see sparse support from developers, who cannot typically afford to develop exclusively for controllers. 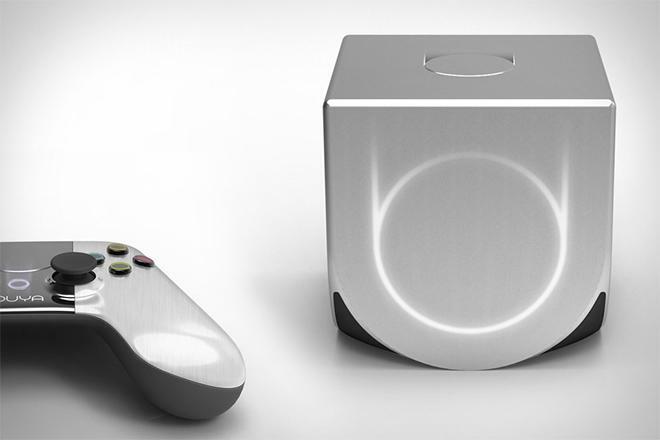 The Ouya console's very design, Uhrman said, lends itself to greater emotional investment in a game. The controller is made from aluminum, and the cold feel of the metal upon picking up the device immediately gets gamers feeling something about the game. Uhrman described herself as an old-school gamer, saying she would like to see the industry turn back to the television as the primary gaming portal. The rise of mobile operating systems and their open-to-all development paradigm, she said, represents a real opportunity for the gaming sector. "We want to really enable creativity," Uhrman explained, "and bring games back to the television, but we wanted to do it in an inexpensive and accessible way. We wanted to bring the best business model  mobile  to the television. That means you have to build something that's incredibly powerful and yet inexpensive." The Android 4.0-powered console is one of the greater success stories in crowdfunding site Kickstarter's history, hitting its $1 million funding goal in eight hours, with a new supporter roughly every 5.59 seconds. It will ship to early backers in late March, and several thousand developers are said to be looking to port or make games for the console. 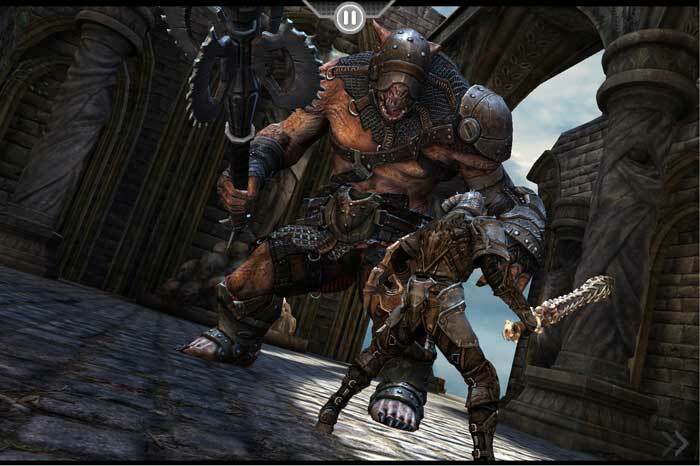 Low development costs and high profits made "Infinity Blade" on iOS one of the most profitable ever for publisher Epic Games. Ouya will enter a gaming industry much changed over the past five years. The introduction of Apple's iPhone  and Google's Android platform  gave smaller developers a massive potential audience for their games, as well as a method of publishing and distribution much easier than the ones seen on traditional gaming consoles. Since then, mobile devices have captured the attention of developers, with even some large companies seeing their most profitable releases coming from mobile. A number of developers currently view Apple as a gaming giant with the potential to upend the industry if it decides to focus more on gaming. As mobile platforms have grown in strength, traditional home and portable consoles have suffered. Nintendo's follow-up to its wildly popular Wii console, the Wii-U, has seen middling sales, forcing the gaming giant to scale back its earlier sales predictions and move up major releases in order to generate interest. Sony's PlayStation Vita portable console, already seeing lackluster sales, recently received a price cut in order to make it more competitive with mobile devices like the iPad.